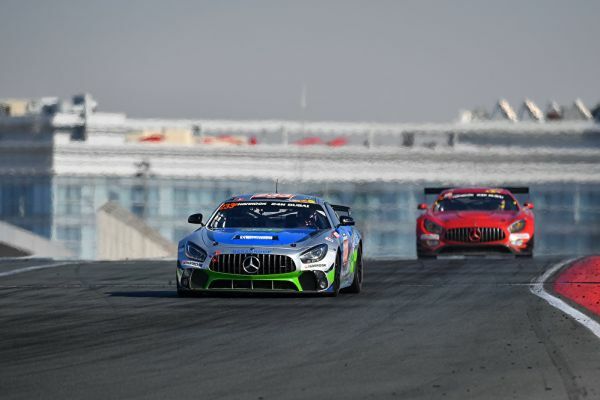 13.01.2018: The 2018 season starts with a victory for Mercedes-AMG Motorsport: in the 24-hour race at Dubai, the Customer Racing Teams with the Mercedes-AMG GT3 scored both the overall victory and the A6-PRO and A6-AM class wins. 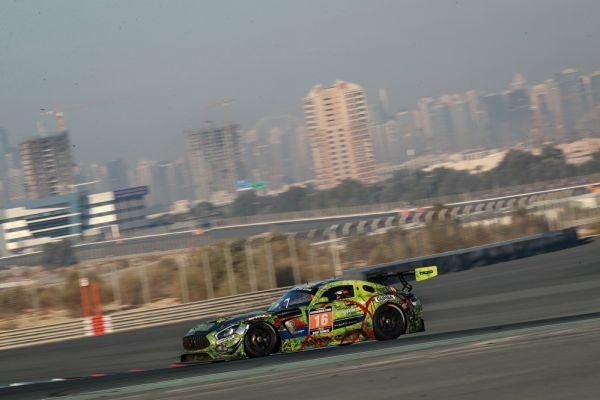 The 2018 season starts with a victory for Mercedes-AMG Motorsport: in the 24-hour race at Dubai, the Customer Racing Teams with the Mercedes-AMG GT3 scored both the overall victory and the A6-PRO and A6-AM class wins. 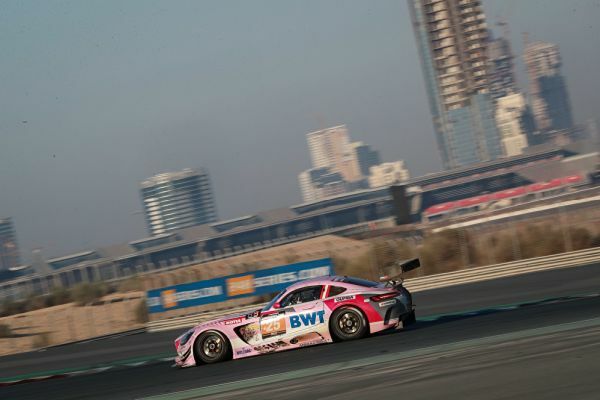 In the #2 car, Abdulaziz Al Faisal (KSA), Yelmer Buurman (NED), Hubert Haupt (GER) and Gabriele Piana (ITA) scored the fourth overall win for BLACK FALCON and Mercedes-AMG Motorsport in Dubai. In the A6-AM class, Customer Racing Team SPS automotive-performance secured victory. The much-noticed 24-hour race debut of the new Mercedes-AMG GT4 also ended successfully with a podium finish in the GT4 class. 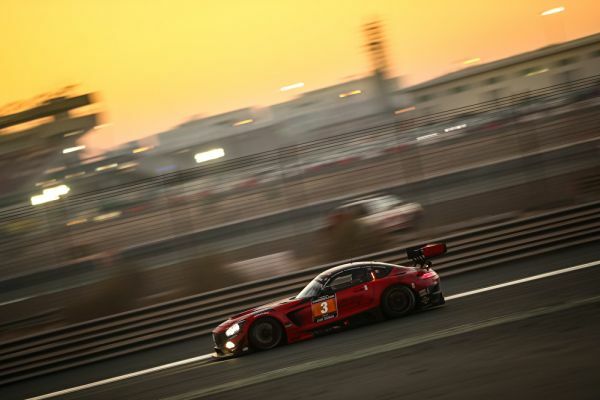 Just like in 2012, 2013 and 2015, the winners of the 24-hour race in Dubai are BLACK FALCON and Mercedes-AMG Motorsport. 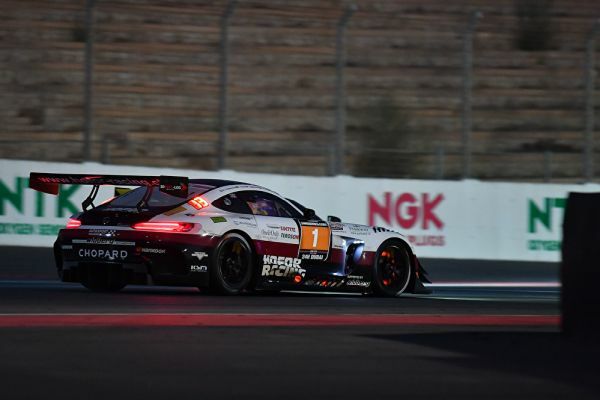 During the first highlight of the 2018 endurance racing season, Abdulaziz Al Faisal (KSA), Yelmer Buurman (NED), Hubert Haupt (GER) and Gabriele Piana (ITA) shone with a strong performance in their Mercedes-AMG GT3 from the very beginning. After a start from third place on the grid, some positions were lost in the opening stages, but the quartet quickly made up these places. 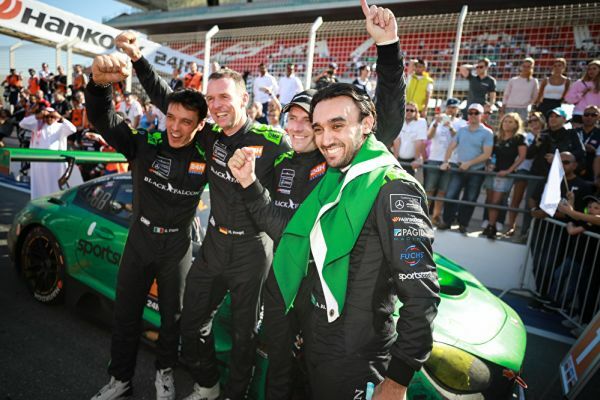 Thanks to consistently fast lap times and faultless stints, the quartet established itself among the front runners in the race, together with the #3 sister car that was driven by Khaled Al Qubaisi (UAE), Jeroen Bleekemolen (NED), Manuel Metzger (GER) and Luca Stolz (GER). 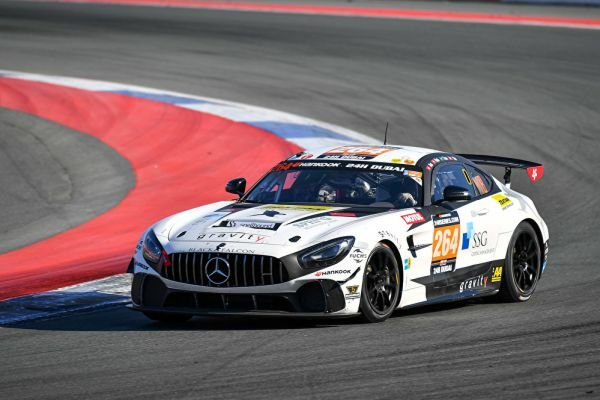 During the night, the two BLACK FALCON cars held on to first and second place, which even grew into a three-way lead after the #25 HTP Motorsport Mercedes-AMG GT3 had closed up. In the morning hours, however, the #25 car dropped out of the front-running group: the car with Brice Bosi (LUX), Indy Dontje (NED), Alexander Hrachowina (AUT), Martin Konrad (AUT) and Bernd Schneider (GER) had to make unscheduled pit stops due to minor issues and thus lost the class lead that it temporarily held. Until the finish, the quintet worked its way back up into ninth place overall and thus also claimed third position in the A6-AM class. With four hours remaining, bad luck also hit the #3 BLACK FALCON car that was part of the 1-2 lead as it got involved in a collision with the #1 Hofor Racing Mercedes-AMG GT3 that was equally on course for a top ten finish. For both cars, the accident led to the untimely retirement. Unfazed by the fate of the sister car, the #2 BLACK FALCON car dominated proceedings in the remainder of the race as it maintained an undisputed lead. Final driver Abdulaziz Al Faisal then brought the fourth Dubai victory for BLACK FALCON and Mercedes-AMG Mercedes home after 606 laps. The marathon in the desert was equally successful for the #16 SPS automotive-performance Mercedes-AMG GT3. Lance David Arnold (GER), Dominik Baumann (AUT), Tim Müller (GER) and Valentin Pierburg (GER) had started from twelfth place on the grid. Until the end of the race, the quartet made progress to fourth place overall with largely trouble-free stints. At the same time, final driver Dominik Baumann thus secured a commanding victory in the A6-AM class. After several hours of repairs, the team rejoined the race. Yet another collision then forced the team to park the car that had made promotion for the new RACE Scout community platform with its striking livery. Stefan Wendl, head of Mercedes-AMG Customer Racing: “What a turbulent season opener here in the 24-hour race at Dubai. Our Mercedes-AMG Customer Racing Teams have experienced many highs, but also lows, something that unfortunately happens during such a hard-fought race. A big thank you to all the Customer Racing Teams that really have presented themselves in a great way here. Dominik Baumann, SPS automotive-performance #16: “I am absolutely happy. Had somebody told us before that we would finish fourth overall in this hard race with its strong entry, I would have laughed at him. But it really went perfectly, we had an entirely faultless race and we don’t have a single scratch on the car.